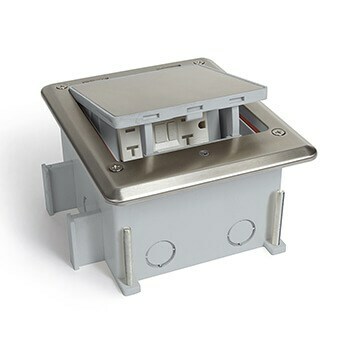 Outdoor floor box with stainless cover; Hex Key Open; Fully IP66 rated water proof (when in closed position). Includes wrench for inside wire connections. Great for pools decks, patios, outdoor kitchens Key Features: You can plug in any device you can imagine while enjoying the sunshine! 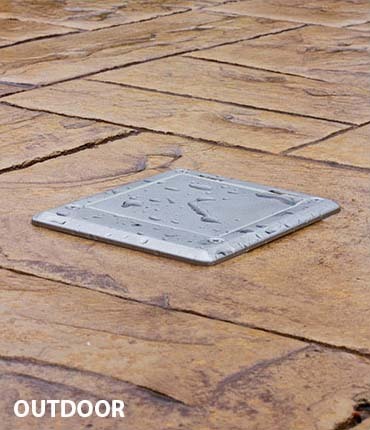 Outdoor floor box with stainless cover; Hex Key Open; Fully IP66 rated water proof (when in closed position). Includes wrench for inside wire connections. Stainless Steel #316: increases general corrosion resistance, improves resistance to pitting from chloride ion solutions, and provides increased strength at elevated temperatures.